Four patients have died and nine others became ill from a dangerous new fungal infection that has been emerging globally over the last few months, the Centers for Disease Control and Prevention reports. 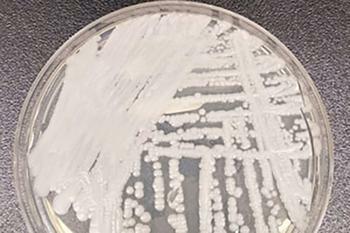 Candida auris (C. auris) is often resistant to antifungal drugs and tends to occur in hospitalized patients. Seven of the cases are described in CDC's most recent Morbidity and Mortality Weekly Report (MMWR). The other six cases were identified after the period covered by the report and are still under investigation. Patients whose cases were described in the report were from New York, Illinois, Maryland, and New Jersey. Four died, although the CDC said it was unclear if C. auris was the cause of their deaths, since all were hospitalized and had underlying medical conditions. Two of the patients were being treated in the same facility and had nearly identical fungal strains, suggesting that C. auris can be spread in healthcare settings. Six of the seven cases discussed in the report were identified after the fact. This highlights the risk that C. auris can be misidentified as another type of less serious Candida infection, in which cases patients may not receive the appropriate treatment. The CDC said that most of the strains found in the seven patients showed some signs of drug resistance, making treatment more difficult. In other countries, C. auris strains have been found to be resistant to all three major classes of antifungal medications. Researchers said it appeared that all of the patients had acquired the strains locally, since they had not traveled to South Asia or South America, where the strains originated.